Longtime locals can point to the dark days when New Orleans faced a dearth of authentic pizza. It was just a matter of time before someone took it upon themselves to introduce genuine thin crust, rich thick crust, and true Italian-style pies. Regardless of the reason, the city is now home to a myriad of independent and excellent pizza joints, from casual to upscale. Quite a few also offer delivery, but only in selected areas, so check websites for ranges. Because of the very recent chef change and the Besh Restaurant Groups turmoil over sexual harassment at the company, longtime favorite Domenica leaves the list until it can be re-evaluated. Sugar Park closed and has been removed. Joining the map are Echo’s and 10-Foot Pizza. 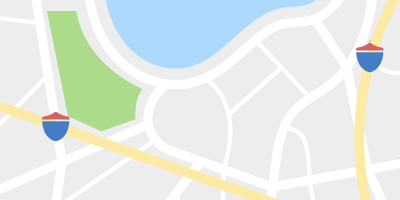 Please note: These spots are sorted by neighborhood, not ranked. Have a favorite pizza that we didn't include? Hit the comments or send Eater a tip and let us know. 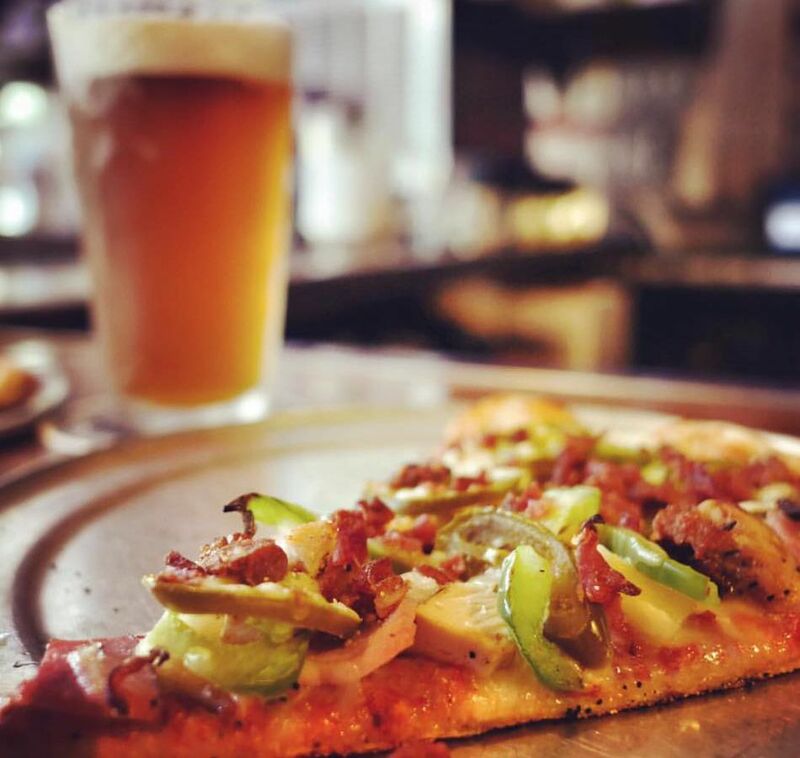 Classic American thin crust, traditional toppings, and beer reign at this laid-back, cozy hipster joint tucked under Banks Street’s leafy oaks. Indoor and outdoor seating. Plus, mimosas and “breakfast” slice specials are only $1 on the weekends. Carnivores will appreciate the five meat topping Meat Monster Pie while those looking for something bold and different might consider the barbecue and sriracha topped “Drizzle.” Bonus: Mid City Pizza is open ‘til midnight. 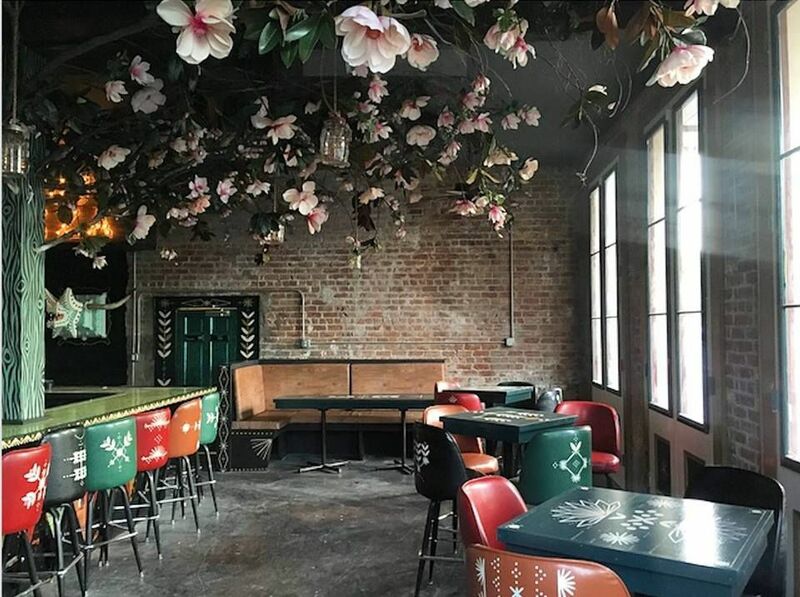 Founded by two New Yorkers, Mike Friedman and Greg Augarten, who pined for the authentic thin slice experience, this hipper-than-thou, industrial-chic Bywater pizzeria is considered by many to be New Orleans best. Cheese, pepperoni, and margherita are always on the menu at Pizza Delicious; otherwise specials rotate. A small selection of worthy housemade pastas offer carb competition. Slices are good bet for quick pre or post show refueling; the addition of outdoor space has added much needed seating. PBR available on draft. While Slice probably won’t win any awards for authenticity or points for cheapness, its thinner crust pizzas are a solid, accessible bet on the Avenue. The menu offers up a wide variety of toppings, including Louisiana-inspired combos like the Muffaletta Pizza or the Sportsmen’s Paradise. One of Slice’s best attributes is its feel: urban and yet cozy atmosphere and its diminutive, conversation-friendly booths. Pizza aside, the ever-so-brown barbecue shrimp is deeply satisfying. 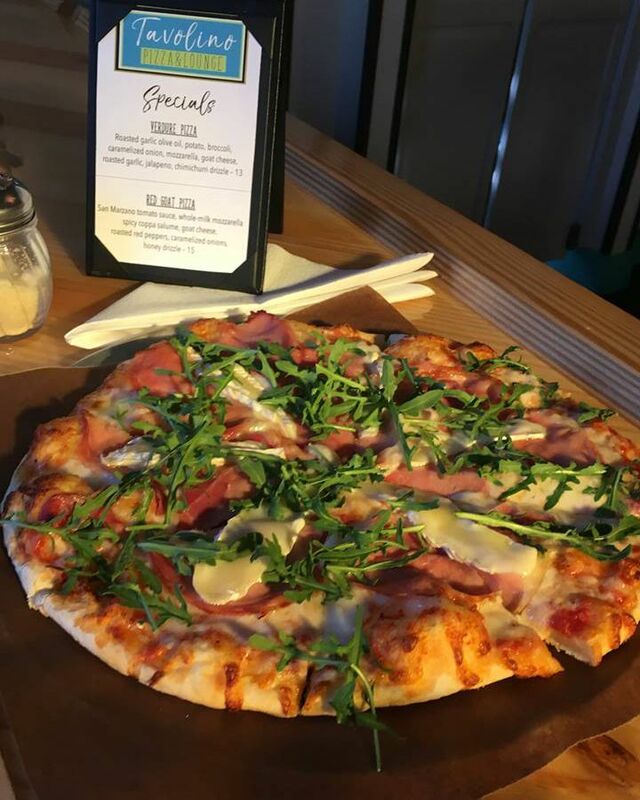 Oak Oven’s drag strip location may seem an unlikely candidate for authentic Napolitano pizza, yet the menu was derived from experiences training under Michelin-starred Italian chefs. Since its inception, Thomas and Hortencia Macaluso’s casual eatery has drawn a steady following for its focus on family farms and locally-sourced ingredients, down to the oak wood chips that fire its pizza oven. Consider a lamb meatball with ricotta, the meaty Fumo with local pork, bacon and fennel sausage, or the elegant shrimp and crab with white wine. 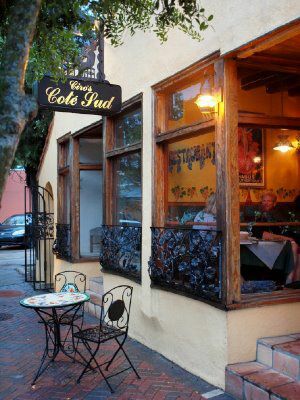 The dining room and covered patio run on the small side; call ahead for reservations. Ancora’s menu doesn’t pull any crooked punches; the individually-sized, wood-fired pies here tend towards the spare with classic preparations that favor a few, well-selected ingredients. Budgets take note: Ancora serves up a refreshingly late happy hour deal from 9 to its 10 p.m. closing. $7 pizza specials include the creamy bianca with fior de latte and the piquante diavola. Full bar, Italian wines, and an eclectic draught beer menu. Theo’s, home of a crust that verges on cracker, has a menu that draws inspiration from a pretty wide American field, including buffalo chicken, “Mexican” flavors, hamburger, and barbecue sauce. Theo’s also wins points for compiling one the most extensive vegetarian combo menus of any pizzeria on this list, and for having grape and orange Fanta. Beer of the month specials. Drinks specials after 4 p.m.: draft beer Tuesdays; bottles of wine on Wednesday. Theo’s also has locations in Metairie and Elmwood as well. If there’s other genuine, deep dish in town, let us know. Casual, buddy-friendly Midway is hearty, stick to your gut pie in the true sense of the word (it’s a challenge to eat more than two slices). A fairly extensive and creative menu draws from both traditional Italian toppings as well as definitively American primal urges like barbecue sauce, roasted chicken, and meatballs. Weekdays, Midway offers a $9.95 weekday lunch special with salad and all-you-can-eat pizza as well as a happy hour from 3 to 7 p.m. with beer, cocktail, and appetizer specials at the bar. Midway Pizza is all about the deep dish. It can be easy to forget about this petite French-inspired eatery tucked on Maple but Ciro’s offers a warm, casual intimacy that feels distinctly apart from the industrial chic spots on this list, and it may be that Ciro’s is the only eatery where ordering both pizza and escargot are possible. If you’ve had your fill of red sauce, consider a vegetarian bianca with white garlic sauce or the L’Ollivier-made with a creamy persillade, pesto, and goat cheese. 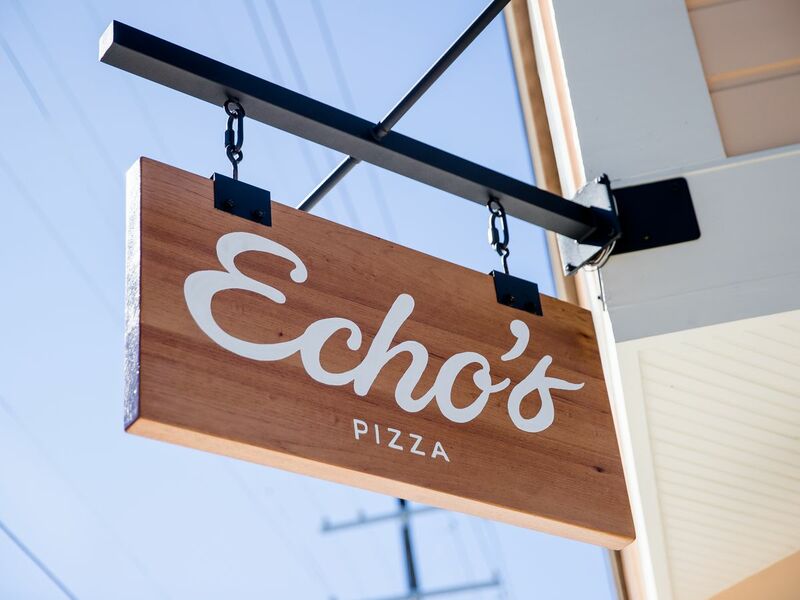 Echo’s Pizza, Mid City’s new wood-fired pizza hub from Theresa Galli and Gavin Cady, owners of 1000 Figs, and Kate Heller, baker and proprietor and Leo’s Bread, brings wood-fired pizzas, small plates, salads, and natural wines to a historic corner spot that seats 50 inside and 25 more on the outside patio. Pizzas range from expected to more adventurous, like preserved lemon, fermented chiles, and braised greens. Small plates are as thoughtful as one should expect from this team -- seared squid crostini, charcuterie, cheeses, dandelion greens and yogurt. It’s open for lunch and dinner daily (closed Tuesdays). Part art gallery and part pizzeria, this relative newcomer to the New Orleans pizza scene is open until 2 a.m. most days and until 4 a.m. on Fridays and Saturdays. 10 Foot Pizza’s menu boasts standard and specialty pizzas — think an elote-themed pie, and a Hawaiian pizza with SPAM as a topping. There are tons of vegan options, too, most notably the “hail seitan” pie which has vegan cheese, seitan and potato chips. 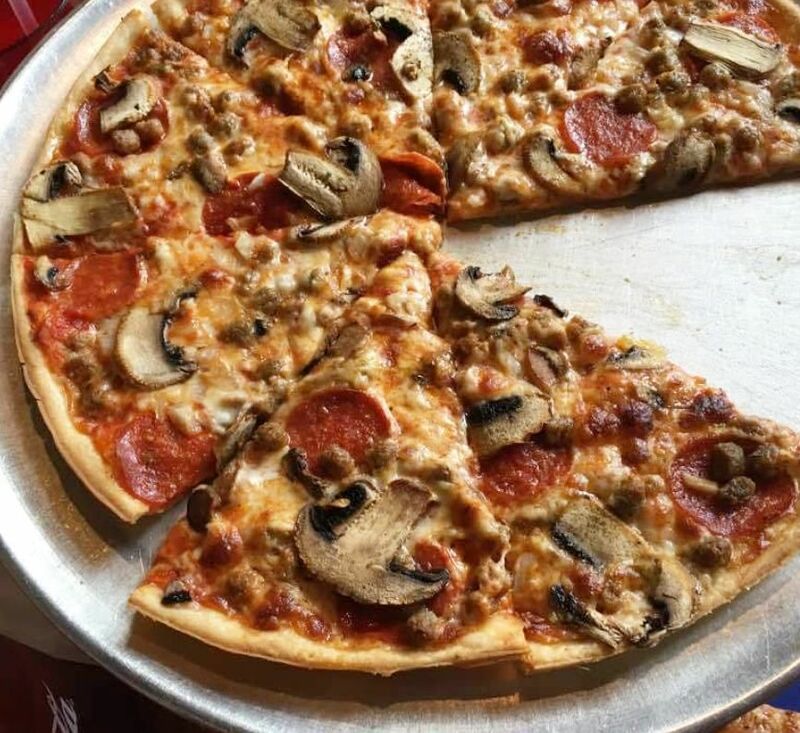 Customers can also build their own pizza, choosing from spirited toppings like pork rinds and fried chicken along with more standard choices. Dine in and enjoy the giant magnolia tree in the middle of the dining room.